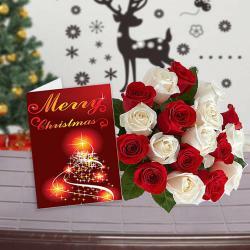 Product Consists : Bouquet of 20 Mix Roses (Yellow, Red and White), 16 pcs of Ferrero Rocher along with Christmas Greeting Card. Looking for any special gift items for your special one? 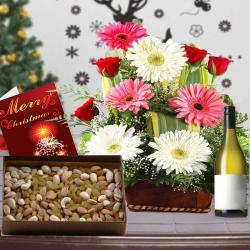 Check out this splendid gift combo of Giftacrossindia.com that contains amazing items for Christmas gifting. This gift combo includes one ferrero rocher chocolate Box with sixteen chocolate pieces, one beautiful Christmas Card and a rose bouquet of twenty five roses. 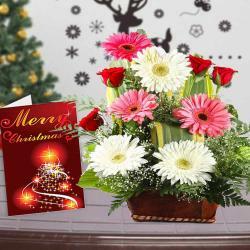 The Christmas greeting Card looks very attractive with its glowing colors and print. The rose bouquet is made from twenty five roses of three different colors. It has yellow, pink and white roses. Each rose carries a different meaning and message. 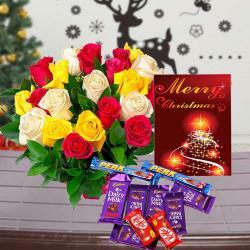 Send this gift combo to your dear ones and make them feel elated on this Christmas with this special gift combo. 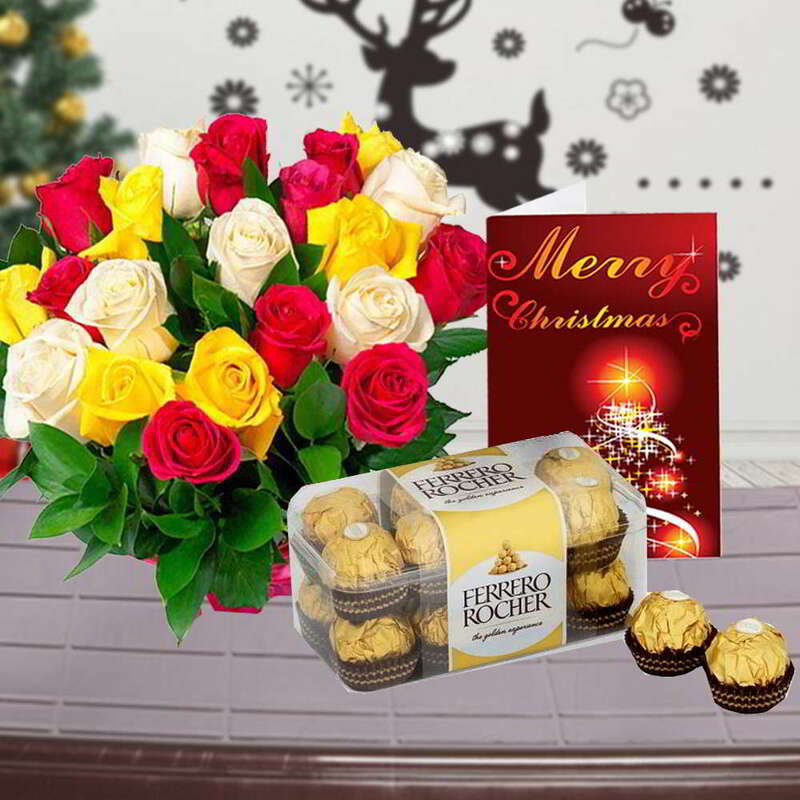 Product Consists : Bouquet of 20 Mix Roses (Yellow, Red and White), 16 pcs of Ferrero Rocher along with Christmas Greeting Card.